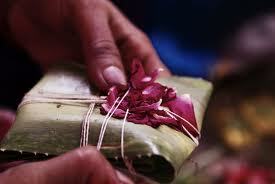 Kevda Trij Vrat is Coming on Saptember 2013.This Vrat is Known as Hartalika Teej . 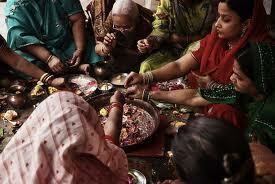 Kevda Teej Vrat is an important festival performed by Hindu women. The ritual is dedicated to the Goddess Parvati and is observed in many states like Gujarat, Rajasthan, Bihar, Jharkhand, Uttar Pradesh, Madhya Pradesh, Chhattisgarh, Maharashtra ,etc. In some places, the teej fast is a three day affair but nowadays most of the women only observe the Vrat on a single day that is on teej. 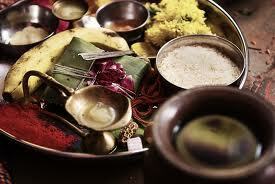 Married and unmarried women observe a fast on the day and offer Kevada flower to Goddess Parvati and Lord Shiva. Married women observe the Kevda Trij Vrata for a prosperous and happy married life and for the wellbeing of their husbands. Unmarried women observe it for getting a good husband. Flowers of Kevda (Agave) are offered to Lord Shiva and Goddess Parvati on the day. Women also offer special prayers in Lord Shiva Temples. Some people opt for a complete fast others observe a partial fast on the day. Kevada plant is popularly known as fragrant screw pine. On the Kevda Trij, women wear Red or Green coloured clothes and bangles which signify luck.They dress up very beautifully.They wear lots of ornaments and offer pooja. 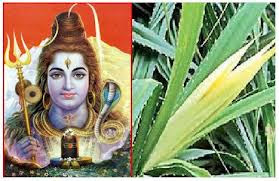 Fresh fruits,flowers and green vegetables are offered to Godess Parvati and similarly along with fruits, vegetables,flowers,a special flower of Kevda is offered to Lord Shiva. Rice patolis, sweets and various dishes are prepared on this day. Dishes made out of coconut are a specialty. According to Hindu belief, Shiva took no notice of the love of Parvati for very long time as he was haunted by the death of Sati. To get the attention of Lord Shiva,Godess Parvati performed several harshness on the Himalayas for several years. Some Puranas indicate that Goddess Parvati did repentance for 16 years and survived on grass and fruits. Finally, at the end by getting impressed by Godess Parvati Shiva acknowledged Godess Parvati’s devotion and love and agreed to marry her. Women observe Hartalika Teej Vrat in remembrance of Parvati’s deep termination to win over her love. It is believed that Goddess Parvati will be blessful with those women who observe the Vrat or the fast. There are several regional variations in the Hartalika Teej Vrat mythology. But the summation is the same. Even today, many married women and young girls observe ‘nirjala vrata’ (severe fasting even without water). A grand banguet is held after the fast in all houses.